"My joy is to be your guide to assist you in accessing your own healing power in your journey of healing. There is nothing more fulfilling to me than to witness the positive changes that occur as a result of your open-hearted receiving and your practicing what is being shared.. We are activating the skills to develop Wellness, Longevity, Happiness and Harmonious Integration with Life through heart-felt compassion, appreciation and humor." 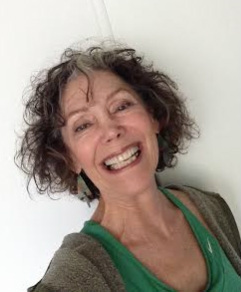 author--"HEALING WITH CHI: Using Infinite Energy to Create a Happier, Healthier Life"
Internationally known, Sherry has more than 3 decades of experience inspiring, developing, practicing, coaching and facilitating energetic wellness and hands-on healing. She has studied with shamans, spiritual healers and teachers and quantum scientists. She has been initiated into 3 spiritual lineages (the Navnath Sampradaya by Sri Jean Dunn; the Cohanim, priests and decendents, by her grandfather and Talmudic scholar, Dr. Julius Burnstine, and the Taoist tradition of Lao Tsu by Master Mingtong Gu, who certified her to teach methods of Wisdom Healing ™ QiGong). Commended for the excellence of her work with war veterans by the United States Veterans Administration, her healing work spans both coasts of the U.S., in Mexico and Guatemala as well as Japan, where she offered her healing program as volunteer humanitarian aid after the triple disasters in N.E. Japan in 2011. "My background in healing includes over 3 decades of energy healing work -- successfully initiating and developing the Vital Life Energy known as Qi ("chee") for stress relief, gaining emotional and mental balance, eliminating physical pain and suffering and inspiring conscious re-awakening for full integration in life. I am an advanced practitioner, and elder, holding and sharing the wisdom of observation and expertise gleaned in 76 years. Transmitting gentle, yet profound methods for healing. Mine is an integrated mindbody approach to profound wellness which includes innovative applications of QiGong (“chee gong”- Cultivating the Life Force ) the 5,000-old technology endorsed by modern physics and medicine. 2013-Present Teaching classes at the Veterans Administration Vet Center Sacramento. 2015 Published "ENERGY HEALING - HEART, MIND, & HANDS, Your Built-in Resources for Releasing Stress and Cultivating Sustainable Well-Being"
2015 Teaching my innovative self-healing methods at New Dawn Residential Treatment Center, and at active adult communities in the Greater Sacramento area. 2011-2013 MAUI, HAWAI’I: Weekly Classes of Qigong– including gentle movement, meditation for stress relief and active wellness; Private and Public classes. Special series sponsored by Kaiser Permanente and Kaunoa Senior Services included Energy therapy sessions, with hands-on energy infusion and Workshops “Sound Healing for Emotional Transformation”, “Healing with Chi (the Life Force Energy) 101”; “Attitude of Gratitude” "Ultimate Energy Make-over for Women"
2011 Wisdom Healing™ QiGong with Master Mingtong Gu, (The Chi Center named World QiGong Master of the Year 2011). Earned certification as Qigong instructor, Initiated into lineage of Lao Tsu. 1993- 2009 Intensive study, practice and devotion with enlightened masters of Advaita Vedanta, Dzogchen Buddhism, Compassionate Non-Duality. Initiated into the lineage of NavNath Sampradaya by Sri Jean Dunn in 1995. I have a commitment and embrace the Perennial Teachings of Non-Duality of all cultures. and was initiated into The Navnath Sampradaya of Dattatreya, and that of Chinese philosopher, Lao Tsu. My study, practice and deeply personal and heart connections with contemporary teachers of Advaita Vedanta and Tibetan Buddhism inspire my daily practice to integrate the highest spiritual teachings in the most grounded, common sense way possible. and our ever-increasing ability to do so.